There are millions of blogs out there so why would you enter what some might consider an already saturated market? If you love writing and believe that you have something to say, why not write a blog. Though you feel that your story has nothing to do with anyone else, believe it or not, we are all not that different. We share the same concerns, joys and sorrows. Your niche is something that you know about and for that reason you might be able to assist those that are looking for answers said in a way that they might not have come across before. It doesn’t matter if there are already millions of blogs out there on your subject, your perspective is what will bring the visitors coming back to your blog. Think of it like this, there are thousands of restaurants out there, that doesn’t stop restaurateurs opening new ventures, and they cater for all sorts and the way that one restaurant cooks your favourite dish might differ from another. Blogging isn’t just about you it’s about your readers and how they interact with story you are telling them. If you have something to get off your chest or you believe your experience will help others, go for it. As your readership grows you and you become a trusted source you might also then be able to monetise the blog, whether this is through affiliate marketing, sponsored posts or placing advertisements. Some bloggers have also used it as a springboard onto other opportunities, whether that is appearing on TV or realising their dream of doing something completely different. The first step in getting your blog online is to get yourself a domain name, this is essentially the name of your blog. Keep it punchy and not too long. If you or your blog become successful this will be your brand. There are a number of sources to get yourself a domain. This might be the hosting company that you decide to have host your blog, sometimes a domain name will be free with your hosting account. You might also decide to buy your domain name from another company not connected with your host. If you choose the latter the hosting company will tell you how to ensure that your domain directs your visitors to its servers. This is usually done by entering some information provided by your web host in the domain provider’s control panel, possibly under “change nameservers” or along those lines. Also consider domain name privacy if you don’t want the whole world knowing where you live. When blogging you will also want to consider the platform that you will be using, this is the content management system that you will use to publish your posts. I chose WordPress for this blog as I found it to be the easiest platform to get on with and I liked the customisation that it offered. There is also Joomla, Wix, Weebly and Blogger to name a few. Be aware that though these might offer you free hosting of your blog there are restrictions in opting for their free offerings, be it the placement of advertisements by the host that you have no control over or the limitations on customisation. Most platforms will have an out of the box theme, but you are going to want to customise your blog to suit you. It is for this reason that you might want to try free themes or invest some of your money in a third party theme. I would suggest you find a theme before even thinking about your first post as this will allow you to start thinking about how you want your site to look before you write your first post. you wouldn’t build a house without laying the foundations first and the same is true about blogging. If you decide you don’t like the theme or want to change it later on consider the fact that your posts are going to be set out differently, so you will have to tinker with the look and feel of the new theme. This might take a lot of time, time that is not spent posting to your blog. It’s all very well having a theme and a domain, but you are going to need to get it seen so you are going to need a hosting provider. These are companies that store your blog on their servers so when your site is called from a search engine your blog is accessible. There are a huge number of hosting companies out there, some good some bad. Getting a blog on the internet is just the start of the hard work, there are some simple truths, to starting a blog. You are going to need eyeballs and lots of them, especially if it’s your intention to make money from the blog. Choosing the wrong host can be hugely detrimental to your blogs success. You might take for granted that just because you’ve handed over your money that your site is going to be up and accessible all the time, unfortunately this isn’t always the case, sites go down and visitors become frustrated and go elsewhere..
Another bug bear that you might relate to is slow loading sites. We like instant gratification and if a site doesn’t load quickly we are more than likely going to go somewhere else where you are going to get the same information. If you don’t agree, just think back to when you actually went on to page three or four of a search engine’s results page, I will put money on it that it is very rarely. Don’t be fooled on price either, just because a host is offering something at a great price don’t be tempted to hand over your money without doing your research. 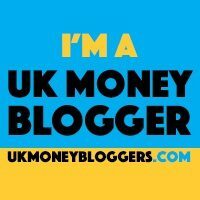 When I first started blogging I went purely with a host that was offering a great deal. The result of this was a slow loading website and I mean painfully slow. I initially thought this was as a result of the images that I was using and the plugins that I had downloaded. As a consequence I spent a lot of time and effort deactivating and reactivating the plugins and decreasing the size of the images, this unsurprisingly had little effect, the site was slow. Again due to my naivety I did not even consider that it might actually be the web host, besides I’d handed over my money so it couldn’t be them right? And put it down to a slow internet connection. I then started visiting other blogs in my niche and realised that their websites were loading a lot quicker and were a lot more image intensive. It dawned on me that it might have been the hosting company after all. Their customer service wasn’t perfect and queries and tickets raised regarding my issues, not necessarily to do with the speed of the site, were not addressed as quickly as I believe they should have been. At one point I even threatened to cancel but due to the fact that I believed that the issue was at my end I had already missed the date for being able to obtain a refund. Even then my stubbornness wouldn’t allow me to move, besides I’d already paid them a hefty chunk of cash and I wasn’t going to spend more moving to another more reliable host. When my web hosting came up for renewal I knew it was time for a change, so after some research decided that a move to Siteground, was the way forward. So far I’ve not been disappointed, not only does my site now load much quicker, their customer service has been fantastic, migrating my site with ease and to boot I also received a free SSL Certificate, something that Google likes apparently. So I chose Siteground as it was right for my blog and addressed all the concerns that I had with my previous provider. When you are choosing a host, read reviews from people in your niche and if there aren’t any reviews join Facebook groups and ask fellow bloggers questions about their experience. Google, can be your friend, there are a number of review sites that provide information about load speeds, customer service and price, remember though that these reviews are based on their experience. Where you are located compared to where the host has its locations might also affect the service that you are provided. Just because a site might be offering an introductory rate, this will go up and you have to determine whether you are prepared to pay the rate when it does. Fingers crossed your blog will become popular and as a result you might need to upgrade the package you are on. Does the host make this easy or would they prefer you to jump hurdles. You don’t want your site to be penalised because of its success. Do they offer a refund policy, if so what are its terms and how long to do you have before you stop qualifying for a refund. This is important as you don’t want to be stuck with a slow host that also aren’t able to ensure that your site isn’t always down for longer than necessary as this will no doubt only damage your credibility and lose you visitors. Don’t be put off by the fact that finding the right host seems like something that you just can’t get wrong. As long as you do everything in your power to ensure that you are getting what you are paying for it should be easy to transfer to another host. You might have to resist the temptation to write 100 posts in the refund time but you should be able to get a feel for the host in a few days to make that decision as to whether you need to move somewhere else that little bit more easier. Enjoy the process and don’t be put off by your mistakes, you will no doubt make some, I know that I’ve certain made a ton and probably still do. Is it really possible to make an extra income online?